Could you be part of Highwic’s ‘A’ Team? In 2013, the theme for the International Day for Monuments and Sites is Heritage of Education. This year Architectural Historian and Chair of ICOMOS (International Council for Monuments and Sites) New Zealand, Jenny May will lead two walks around Christchurch’s historic educational sites. The walks will include the former Christchurch Teachers’ Training College (Peterborough Centre), Cathedral Grammar, the site of the Normal School or Cranmer building, the site of the former Girls High School, Christ’s College, Canterbury Museum, the Arts Centre and Curators House where we will end the tour and have a more informal chat over coffee and cake. Bookings Essential: Contact Jane on infosouthern@historic.org.nz or phone (03) 3631880. The Southern Heritage Trust presents a public talk by Michael Findlay, well known historian, entitled "Where House, adaptive re-use of Dunedin's Warehouse Precinct". Tuesday 14 May, 7pm at the Otago Pioneer Women's Hall, Moray Place, Dunedin. Otago Museum - H.D. 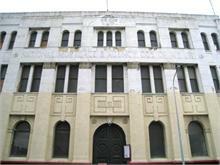 Skinner Annex (former Dunedin North Post Office). May until November 2013. Free entry. A partnership project of NZHPT and Otago Museum. Sunday April 28 at 5 pm in the Christ’s College Old Boys’ Theatre. Well known art historian Julie King will give a presentation on Ngaio Marsh’s art. Ngaio Marsh was a woman of extraordinary creativity, who gained international success as a writer of crime novels, and national recognition for her work in the theatre. Yet, Marsh’s first ambition had always been to become an artist, and after completing her training in 1919 at the Canterbury College School of Art, she exhibited regularly with the Canterbury Society of Arts. The tour will be led by local resident and kaumatua, Robert MacDonald who will meet us in Havelock North. We will visit various historic sites around Waimarama followed by lunch at Jarks Café (price included). After lunch we will explore the scenic Hakikino Conservation Reserve. Hakikino is the 15th century ancestral site occupied by the ancestors of the Waimarama Maori people. We will traverse the archaeological remains of the ancient village, and visit protected wetlands sheltering native eels. Robert will also acquaint us with local Maori myths, legends and custom. Bookings: Contact Philip or Cath, phone 8700513 or email, philipirwin@xtra.co.nz. Cost: $55 per person (including lunch) for members of Historic Places Hawkes Bay or $65 for non members. Starting in Feilding at St John the Evangelist (1882, tower pictured below), this bus trip takes us to a number of historic churches designed by Clere: St Agnes at Kiwitea (1890), St Andrew at Colyton (1897) and two important churches in Palmerston North - All Saints, a 1914 brick church which is currently closed, and the 1925 Catholic Cathedral of the Holy Spirit. We have our lunch at the historic Caccia Birch house in Palmerston North; morning tea and lunchtime drinks provided but bring your own lunch. The trip is being organised by Historic Places Manawatu-Horowhenua in partnership with the Whanganui Regional Heritage Trust. Departs from Wanganui i-Site, 31 Taupo Quay at 9am; return approx 5pm. We can pick people up in Turakina, Bulls and Feilding. Bookings: Contact Wendy Pettigrew, e-mail wendykp@xtra.co.nz, tel: 06 3472575. Cost: $35 per person; $30 for members of the Whanganui Regional Heritage Trust and Historic Places Manawatu-Horowhenua. Highwic is hosting the Art Deco Day Out on 7 April, featuring live jazz, spot prizes, dancing, special exhibitions and vintage cars recalling the golden days of the 1920s and 30s – the height of the Art Deco movement. 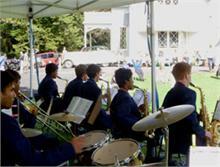 Jazz artists performing on the day will include the Leprechauns and the St Stephen’s College Jazz Band (pictured below) who featured in last year’s Art Deco Day. “This year we’ll also be joined by Swing Out Central who’ll demonstrate some dances from the 1920s and 30s and provide the opportunity for other keen dancers to ‘cut a rug’,” says the Manager of Highwic, Cheryl Laurie. Art Deco fans are encouraged to dress up in 1920s-style dress (if they wish), pack a picnic and head down to Highwic for the Westfield-sponsored Art Deco Day Out. A large marquee – courtesy of Castles Marquee Hire – will provide shelter or shade as required, making the show an all-weather event. 7 April, 1-6pm – entry to the grounds free; $7 per adult to explore Highwic. People wanting to display their classic cars should ring ahead to book a space – (09) 524 5729. Announcing a specialty event for keen gardeners and plant collectors to be held at Highwic, Auckland, Saturday, 20 April 2013. The inaugural Highwic Plant Fair will bring together a selected group of small specialty growers and groups who will showcase all manner of special treasures of real interest to keen gardeners and passionate plant collectors – including plants, bulbs, shrubs, trees, vegetables and flowers. Plants for sale will all be suitable for growing in the Auckland climate and would-be purchasers will have a chance to speak first hand with a group of incredibly knowledgeable specialty growers. There will also be book signings, a great pop-up café for those seeking refreshment, a plant crèche and ample opportunity to view the beautiful gardens at Highwic while the fair runs from 8.30am – 3.30pm, for one day only. The Highwic Plant Fair has come about as a concept conceived and developed by professional gardener Martin Keay. Martin regularly works at Highwic alongside a dedicated group of volunteers, co-ordinated by Sarah Yates. 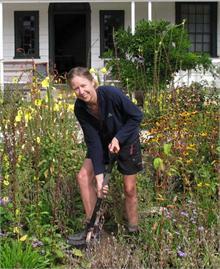 Their recent work has brought about a considerable transformation to the garden at Highwic. Entrance to the Highwic Plant Fair will cost $10 per adult; children are free. Admission also gives entry to Highwic, which is currently celebrating its 150th anniversary. 4pm, 12 May. Special programme by talented young singers, with harp, cello and piano. $25 per person. Bookings essential (09) 479 2361 or email concert@vodafone.co.nz. For more events visit our website. The Clifden Suspension Bridge was built in the late 1800s and was a significant engineering and design feat. It is registered for its significance with both the New Zealand Historic Places Trust and the Institute of Professional Engineers. The single-lane bridge was originally used by horse and cart traffic and helped to open up the land east of the then swift and dangerous Waiau River. In later years motorised vehicles used it, until a replacement bridge was opened in 1978. Recently, the New Zealand Historic Places Trust has closed the bridge to the public due to safety concerns and an urgent restoration programme is about to begin. Clifden Bridge cost £5,007 to build back in the late 1800s but times change and today, the cost of the restoration is estimated at $500,000. We are already starting work on the bridge but we need your help. Please make a donation right now to help restore and save this significant historic place. Visitors to Highwic can now feast their eyes on an important collection of artwork depicting scenes of early Auckland. The sketches and paintings by Colonel Arthur Morrow have a close family connection to the beautiful Newmarket mansion, which is celebrating its 150th anniversary. “Colonel Morrow was the son in law of Alfred Buckland – the original owner of Highwic,” says Highwic’s Manager, Cheryl Laurie. Morrow was an interesting personality – a military man through and through, yet highly artistic. A crack shot with a rifle, he won several prestigious awards for his target shooting, and had a distinguished military career in New Zealand serving in the Waikato War. He also had an abiding interest and passion for New Zealand’s flora and fauna, as well as art. The Buckland family owned 350 acres on the Tamaki Peninsula in addition to Highwic. The area became known as Buckland’s Beach, and the family – including Morrow – spent many summer months there enjoying horse riding, picnicking and swimming. “Summers at Buckland’s Beach were no doubt idyllic, though getting there from Newmarket was a bit of a mission,” says Cheryl. While Morrow sketched and painted over summer, his brother Robert – a former Colonel in the Indian army – enjoyed less sophisticated pursuits. These frequently involved firing live ammunition from his scale model brass cannon across the water, and taking out any fish that dared to break the water’s surface. “For the extended Buckland family, summers at Buckland’s Beach were a time to get together, relax, have fun and enjoy the beautiful land and seascape, which Colonel Morrow captured so well in his paintings and sketches,” says Cheryl. Colonel Morrow always retained a strong interest in things military, and was not slow in making suggestions to the Government about how it could improve the armed forces. “He initially lobbied Richard Seddon about presenting a battleship to the British Government from New Zealand, and although nothing happened for some years, Sir Joseph Ward eventually made the offer, which was accepted by the British Government,” says Cheryl. Colonel Morrow passed away in 1937 at the age of 94. His wife, Mariamne – the third daughter of Alfred Buckland – died in 1957 at the age of 102. “The Morrow collection of artwork is an important part of the Highwic story – and an important collection of New Zealand art in its own right,” says Cheryl. A rare historic artillery barrel has been extracted from New Zealand Defence Force land on the Miramar Peninsula. The gun, a rare eight-inch Breech Loading Hydro Pneumatic coastal defence gun, also known as the “disappearing gun”, was discovered partially exposed above ground last year by Department of Conservation staff carrying out work in the Fort Gordon area. New Zealand Army Engineers last week carried out the extraction working with consultant archaeologist Andy Dodd, NZHPT archaeologists Kathryn Hurren and David Rudd, and Department of Conservation archaeologist Yolanda Vogel. The gun will be restored with the help of Sir Peter Jackson and The Vintage Aviator Limited. Disappearing guns were designed to recoil downwards into a protected pit after firing, allowing them to be reloaded while out of view of the enemy. They were installed from the late 1880s to protect New Zealand’s major ports from naval attack by rival Imperial powers. At the time the most likely threat was thought to come from the Russians. Director Heritage, Commemorations and Protocol, New Zealand Defence Force, John McLeod said the gun was an extremely interesting and fascinating find. “There are very few eight-inch Breech Loading guns left anywhere in the world. Guns of the type found on the Miramar Peninsula were only ever used in New Zealand. “Only ten of these all-steel guns were ever constructed. With only four other surviving guns of this kind in New Zealand, this is a very rare and fascinating find. “It is important that the gun is preserved and restored in the appropriate way to ensure this piece of New Zealand’s history remains intact for many years to come,” John McLeod said. Manned by artillery volunteers backed up by a small unit of military professionals, the installation of these guns marked a very important stage in the development of an independent New Zealand Defence Force. The Fort Gordon gun has been located on Miramar Peninsular since proof firing took place in 1896. The gun barrel weighed 13 tons, and its hydro-pneumatic carriage 23 tons. The gun barrel was removed from its original mounting around 1924. Repairs have begun on several war memorials in Christchurch, with the aim of having the work completed by Anzac Day, says Council Transport and Greenspace Unit Manager John Mackie. After being partly dismantled almost a year ago, work is progressing on the Burwood War Memorial on New Brighton Road. The remaining steps and base will be removed and new steps will be cast and then the original granite memorial will be replaced. It will take a specialist conservator, stonemason and contractor four to five weeks to complete this work. 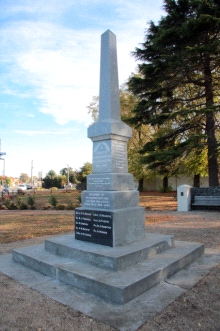 Final repairs are underway on the Heathcote War Memorial, with the small pieces that chipped off the memorial when it fell during the quakes being reattached. Repairs to the concrete surround of Pigeon Bay War Memorial are also getting going. “It is immensely satisfying to see these treasured memorials and monuments being restored to their former glory and, while we have a way to go, we hope the community is heartened by this progress,” says John Mackie. Meanwhile, plans to repair the Bridge of Remembrance and Triumphal Arch are progressing, with work expected to start in the middle of this year. Mr Mackie says the Council understands it is important the community can mark the 100-year anniversary of the beginning of World War I in August 2014. "We will be working with contractors to see if it is possible to have parts of the bridge open in some form for an event." Plans to repair the Arch involve inserting steel reinforcement into cavities inside the columns. The arches will be tied together (post-tensioned) horizontally to reinforce the structure. The foundations will be improved to allow the structure to rock in a controlled manner. Rocking will act like base isolation and dissipate energy created by any future earthquakes. The stone work on both the Arch and the Bridge will be reinstated and repaired using methods sympathetic to the heritage nature of the structure. Other repairs being planned in Christchurch include the waterfall at the historic Edmonds Factory Garden in Phillipstown, which is being dismantled and rebuilt after it was extensively cracked during the earthquakes. The waterfall’s channel is being cleared, relined and the stone capping replaced. Weather permitting, the repairs will start within a fortnight and are expected to take about four weeks. The future of the 8.1 hectare model farm alongside Mount Albert Grammar School has been secured with the announcement of a new lease agreement between ASB Bank and the Mt Albert Grammar School Board of Trustees. The farm was originally established in 1932, requiring the passing of special legislation to allow the Auckland Savings Bank to buy the land from the Kerr Taylor sisters and then lease it back to the school. The Bank made a grant of 2000 pounds: 1600 pounds to enable 20 acres of the Alberton estate to be bought outright, with the balance to provide equipment for the farm. “The ASB Farm is one of the last remaining reminders of central Auckland’s rich agricultural heritage,” says Linley Wood, ASB’s Executive General Manager, Culture & Community. A rare opportunity to experience life as it was on a Victorian farm is in store this month, as Totara Estate opens its gates for a day of family fun and activity. The historic North Otago farm, which is managed by the NZHPT, will be buzzing with the sounds and sights of farm animals, traditional farm and craft workers, a working forge, musicians, working vintage machinery, fun and games – and plenty of good farm cooking, beer and cider. “New Zealand is said to be founded on the sheep’s back, and Totara Estate is central to that history,” says property manager Anne Sutherland. Totara Estate is widely regarded as the birthplace for New Zealand’s billion dollar frozen meat industry. 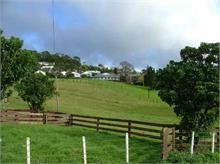 Totara Estate was established during the 1850s as an innovative large sheep and grain station. Its slaughterhouse provided the first shipment of mutton frozen aboard the sailing ship Dunedin sent to England in 1882, making it central to the story of New Zealand’s economic development. “That rich history makes Totara the perfect venue for this day of festivities,” says Ms Sutherland. The day will run from 10am to 4pm and celebrate all aspects of life on a Victorian farm including heritage farm animal breeds, traditional crafts, domestic farm activities and vintage machinery in action. There will also be music from the toe tapping Boru Band as well as strolling players, and plenty of Victorian style farm workers – including the swaggers to spot. There is also plenty on offer for foodies, including a cooking demonstration by Joan Bishop, cookery writer for the Otago Daily Times and author of The Southern Woman’s Kitchen. “We will also tell the story of the first shipment of frozen meat and will have some great traditional food such as roast meats and ploughman’s sandwiches as well as Devonshire teas,” says Ms Sutherland. NZHPT Heritage Destinations Manager Paul McGahan says similar events at Totara have attracted large crowds, and he is expecting a great turnout. “The passion and enthusiasm within the North Otago community for heritage and events such as this is incredible,” says Mr McGahan. 7 April 2013, 10am to 4pm. 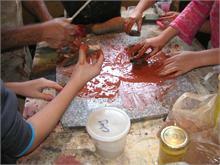 Adults $10, children $5 (pre-school free) and families with school age children $25. Cinematic treasures celebrating New Zealand's rural history were lapped up by hundreds of people as some of the nation's historic woolsheds were transformed into movie theatres last month. Reel Life in Rural New Zealand, a partnership between the NZHPT and the New Zealand Film Archive, was an outstanding success, drawing in audiences from the Hawke's Bay, Tararua and Wairarapa regions to witness a collection of films from the Archive's vaults. 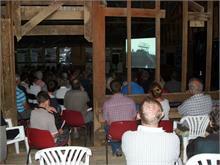 The screenings brought local history to life in the historic woolsheds at Maraekakaho near Hastings, at Aramoana Station in Central Hawke’s Bay, Elm Grove Farm in Greytown, Akitio Station in Tararua District and Annedale Station at Tinui, out from Masterton. Films covered the trial flight of the Fisher Monoplane at Gladstone in the Carterton district in 1913, harvesting hay in the Waikato in 1928, farming at Matapiro Station at Fernhill, Hawke’s Bay in 1940, farming at Puketapu in the early 1950s, life on Te Maire sheep station in the Wairarapa in the 1960s and the first Golden Shears International Shearing Contest in Masterton in 1961. Many will remember the TV ad "Good as Gold" in the 1980s made for Nilverm Coopers Sheep Drench which mocked Australian sporting performances at the Los Angeles Olympics and in cricket between Australia and New Zealand. This drew great laughter at the film screenings. All the audiences went home happy to the film recording of the music of Dave Dobbyn in full blast with his 1980s hit ‘Slice of Heaven’ with cartoons of Footrot Flats. "The owners of the historic woolsheds were delighted to host the films and look forward to cooperating with the NZHPT and NZ Film Archive in future ventures," says Central Region Area Coordinator David Watt. 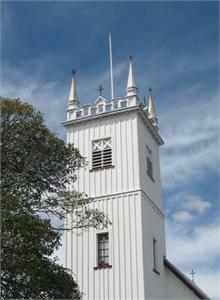 The oldest Anglican church in the Wellington region still holding regular services has been given heritage recognition. Built in 1870 within a few years of the road being constructed through the Ohariu Valley, Holy Trinity Church is closely associated with the settlement of the Valley, and has remained remarkably unchanged since the late 19th century. It has been registered as a Category 2 Historic Place by the NZHPT. Archdeacon Octavius Hadfield (1814–1904) opened the church on Trinity Sunday, 12 June 1870, an appropriate day given the name of the new Church. “This little country church is set in an idyllic rural setting, and has unusual architectural details, both of which add to the special character of the building”, says NZHPT researcher Vivienne Morrell. 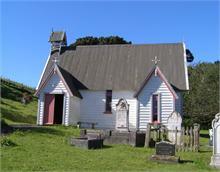 As with many rural colonial churches Holy Trinity is built of native timbers, predominately rimu and totara. Inspired by Gothic Revival architecture, it has a simple design consisting of a nave, porch, and vestry. It also features another characteristic of New Zealand’s early country churches – a limited use of exterior and interior decoration. “This was mainly dictated by the limited budgets available, which meant the functionality of the building was the highest priority,” says Ms Morrell. For more information about Holy Trinity visit the Register Online. The NZHPT with the Wellington City Council have joined forces to help celebrate World Heritage Day on 18 April in Wellington with film screenings of the New Zealand Centennial Exhibition in Wellington in 1940 and Home Town Boom Town about the changing face of Wellington in 1980 and the buildings that were lost to the wrecking ball in the inner city at that time. "World Heritage Day 2013 has the theme 'the Heritage of Education', and these films to be shown at the New Zealand Film Archive will bring back reminders of significant happenings in the capital city five decades apart," says Central Area Coordinator David Watt. 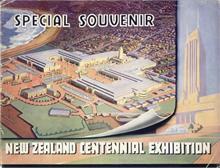 The New Zealand Centennial Exhibition ran from 8 November 1939 to 4 May 1940 during World War II. During this time 2.6 million people went through the main gates with a daily average attendance of 17,149. The exhibition covered 55 acres ( 22.2 hectares) of land to the west of Wellington’s airport. After the exhibition closed the buildings were used by the Air Force. Following the war they were used to store wool. They burnt down in September 1946. Home Town Boom Town features the changed landscape of Lambton Quay and other development areas of the city in the 1980s with comments from architects and other prominent citizens of Wellington. The screenings will take place at the New Zealand Film Archive, 84 Taranaki Street Wellington at 7pm Thursday 18 April. Free admission with a drink. Get there by 6.30pm to secure your seat. The Theatre only holds 100 seats. Film screening time 1hr 15 mins. For more information please contact David Watt NZHPT Central Region Area Coordinator – dwatt@historic.org.nz or phone (04) 494 8322. 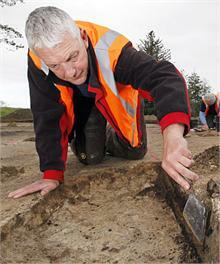 Hamilton archaeologist Warren Gumbley will shed light on the Bay of Plenty’s early Maori settlement at Papamoa as part of a series of archaeological talks being organised by the NZHPT. Warren will present a talk on aspects of life on the Papamoa dune plain since the 15th century that excavations have brought to light over the years. “The settlement at Papamoa was a thriving community with its own dynamic,” says Warren. Warren has been closely associated with archaeological work around Papamoa for 20 years, and his presentation will draw on his two decades of archaeological excavations in the area, as well as his wider knowledge and experience. He will also talk about some of the artefacts that have been unearthed from the area including a kokowai (pounder) used to grind up red ochre which was used as a decorative pigment, and other artefacts include sandstone hoanga (grindstones), whose gritty texture kept chisels and adzes sharp, and was also used to polish or wear down worked stone or bone. “The archaeological record has a lot to teach us about the people who first settled here up to 500 years ago, and what we’ve found is really fascinating,” he says. The NZHPT's Lower Northern Regional Archaeologist, Rachel Darmody, will also deliver a brief presentation on the NZHPT’s statutory role with archaeology in New Zealand. “This is shaping up to be a really interesting evening, and a great opportunity for anybody with an interest in archaeology to come along and learn more about the Bay of Plenty’s earliest inhabitants,” says Rachel. The public talk will take place at the Papamoa Library’s Tohora Room, 15 Gravatt Road, Papamoa on 17 April at 7pm. Admission free, though bookings are recommended – contact the NZHPT’s Tauranga office on Ph (07) 577 4530 or email jhetherington@historic.org.nz. Descendants of Allan and Sophia Kerr Taylor joined together on 17 March to celebrate the 150th anniversary of Alberton. Construction of the Mt Albert heritage landmark – now cared for by the NZHPT – began in 1863, and the house was gifted to the NZHPT just over a century later in 1973. “The construction of the house was due to be completed by New Years Day 1864 at a cost of £463,” says Rendell. Over 70 people attended the gathering which included a service at nearby St Luke’s Church on land which Mr Taylor gifted, and where family members are buried, as well as a presentation from Kevin Wells about the Taylor family's links to India from 1808. The gathering – which included guests from overseas – also enjoyed refreshments and a performance from Scottish piper Mervyn Appleton to help reference the family's Scottish heritage. The first week of this year's Thames heritage festival in March saw the seventh running of the Thames School of Mines and Mineral Museum heritage art workshops for local primary schools. The event is the only one during the heritage festival run specifically for local school groups. Five schools – Thames South, Matatoki, St Francis, Waitakaruru and Parawai between them sent just over 100 pupils to the workshops. “As well as historic paint making and painting the experience in our 140+ year old classroom certainly provides support for classes exploring heritage and an introduction to our rich local history dating back as it does on the site about 400 years,” says School of Mines Property Supervisor John Isdale. Starting at the mineralogical museum, the children were able to see a specimen of the mineral mined just up the road and processed into paint during the gold rush era. From there the school groups were taken to the historic School of Mines buildings for an introduction to historic gold field equipment and methods of reducing solid materials to a powder in the old Assay room. From the old Assay room the groups moved to the ex-Wesleyan Sunday school/wet lab where artist and paintmaker Barry Thomas began the paint-making and painting experience. This year’s art workshops were supported by Creative Communities grants schemes administered by both the Thames Coromandel and Hauraki District Councils, with materials supplied by Norske Skog in Kawarau. Highwic is looking for people who want to get their hands on some precious objects – though for all the right reasons, of course. The Newmarket property is seeking volunteers with good dexterity and an eagle eye for detail to form a couple of ‘A’ teams that will carry out specialised conservation cleaning work at Highwic. Led by Madelaine Abey-Koch – a ‘retired’ conservator who has worked for English Heritage, the National Trust and the British Museum – volunteers will learn many tricks of the trade associated with conservation on a wide range of objects including glass, ceramics, furniture and textiles. “We’re looking for people who are prepared to give four hours of their time every week to this work, and who are interested in learning a range of skills and disciplines associated with conservation cleaning,” says Highwic’s Christiane Pracht who will be coordinating the programme. In order to develop good skills and in-depth knowledge of each material, Madelaine will focus on a particular material for a six-week period ensuring participants have a thorough grasp of the collection items before moving on to items made from other materials. “Our approach to both the training and the work itself is going to be systematic and methodical – which is how conservation cleaning should be undertaken,” she says. If you would like to learn more about becoming part of the Highwic volunteer conservation team, contact Christiane Pracht on (09) 524 5729 or email cpracht@historic.org.nz. Finding an English cottage garden to care for in the sub-tropical north proved to be a challenge for specialist gardener Chelsea Neustroski. That is until she spied an advertisement for a gardener at the Kerikeri Mission Station. Fortuitously, the Kerikeri Mission Station was looking for a gardener who could breathe new life into New Zealand’s oldest European garden and Chelsea’s experience as Head Gardener at Markham House, Badminton Estate, made her a perfect fit for the job. “We were really excited when we received Chelsea’s CV,” says Property Manager Liz Bigwood. “She came with glowing recommendations from the Duchess of Beaufort of Badminton Estate, who informed us we would be ‘very lucky to have her’”. Tree damage is a problem that’s arisen since the site opened up with the removal of the road bridge and the installation of the footbridge. Ms Bigwood says that while it’s great to have people enjoy the gardens and orchard, the fruit is enticing people to climb and shake the trees which is causing serious damage. The winners of Dunedin’s annual Heritage Re-use Awards were announced on 20 March. The overall winner this year was the NMA building in Water Street, Dunedin, which also won the interiors section for the Psychology Associates Offices. This is the third year of the awards, supported by the NZHPT, which celebrate excellence, innovation and sensitivity in the reuse of heritage buildings in Dunedin and include categories for earthquake strengthening, interiors and overall reuse. A student design competition is also held during the year, which challenges students to develop innovative solutions to the reuse of Dunedin’s older buildings. The awards and competition are an initiative of the Dunedin Heritage Buildings Reuse Steering Group. The awards are judged by a panel including Dunedin City councillors, representatives from the NZHPT, the local branch of the New Zealand Institute of Architects and the Institute of Professional Engineers of New Zealand, and building owners. Mayor of Dunedin Dave Cull sees the awards “as acknowledging the efforts of those who strive to maintain and enhance the unique heritage character of Dunedin”. Councillor Lee Vandervis, who headed the building judging panel, says both of the two main winners – the NMA Building and Knox College - “showed remarkably imaginative and cost-effective solutions to earthquake strengthening while retaining all practicable heritage features. Councillor Jinty MacTavish says the two winning entries in the student design competition “demonstrated a clear commitment to retaining and showcasing key heritage features, while at the same time addressing the practical needs of well-defined anchor tenants." Judges in this category were for a second year running impressed with the work of Peter Rozecki-Lewis, who also took out the top honours in this category in 2012. Nominations for next year’s awards can be made any time before 20 December. Further details are available at www.dunedin.govt.nz/heritage. The NZHPT property Alberton has been used as a backdrop for a television programme that will go to air on Sunday 21 April, 8.30pm on PRIME - The Forgotten General. The programme is about Major-General Sir Andrew Russell KCB, KCMG (1868 - 1960) who was a general from New Zealand, during the Great War who rose swiftly to high command during the Gallipoli campaign in 1915–1916, and to prominence as the inspirational commander of the New Zealand Division on the Western Front in 1917 and 1918. Photo: A scene being filmed for the documentary outside Alberton.